Are you unsure how much your pet feels the cold? Want some advice on how to keep your pet warm this winter? Pets Training & Boarding have some great tips on keeping your pet warm and the costs down this winter. For the best part, most of our pets will seek out the sun-drenched warm areas of our homes or the prime spot in front of the fire during the cooler weather. However, some pets will feel the cold this winter and may need a little assistance to keep warm and prevent a cold. As the sun sets earlier and the days get colder and darker, it’s no wonder many of our pets will be found hiding on their beds, snuggled up tight. You can guarantee that those sooky puppy eyes will be in full force if you need to vacate them outside as you leave for work. 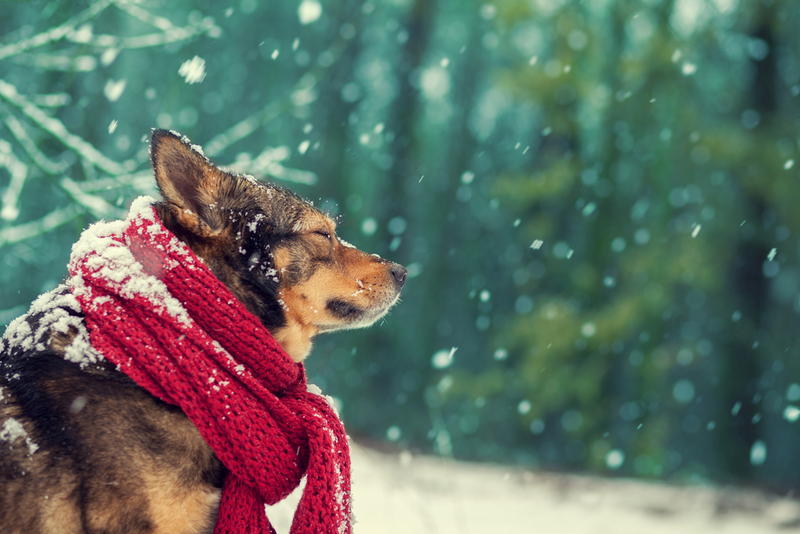 So, what can you do to help your pet cope with the winter months? Firstly, note which breeds suffer more during these chilly winter days. For dogs, many that grow their lovely ‘winter coats’ such as Alaskan Malamutes, German Shepherds and the like, can tolerate the cooler months easier than the short coat breeds such as Dobermanns, Boxers and Greyhounds (however that is not to say all long coated dog breeds will be happy with the cooler climate). Have a look at your dog’s coat, if it is short and close to their body, chances are they will feel the cold much more and may need some assistance to keep warm. 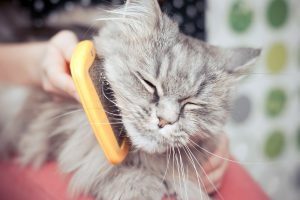 Cats are also the same, double coat and triple coated breeds will tolerate the cold, while single coat cat breeds like the Siamese or Orientals may need some extra consideration around this time of year. Older pets and younger pets will also feel the chill of a winter’s day. It is not in the best interest of your older pet or young pup to spend hours outside in freezing winter conditions. Think about making a warm nest inside. If your dog is predominantly an outside dog, you may need to consider bringing them into a laundry or warm area during the night and possibly during the day as well. Feel your pet’s ears? Are they freezing cold? Many dogs and cats may also begin toileting inappropriately, or in other words, inside the house! For dogs and cats walking on frost bitten grass to toilet is unbearable. 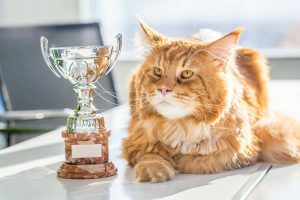 For cats consider re-introducing a kitty litter box in the winter and for dogs teach them to go on command (“quick go Rover”) and head outside with them. For pups, pop them on a lead and go outside regularly. You can also purchase some ‘fake dog grass’ and keep this in an outside area that doesn’t get frosted. For some it is impossible to leave their dog inside during the day, even in a bathroom or laundry. If this is the case, have a look at your dog’s kennel area. Ensure it is placed in a warm draft free area and out of the wind and pelting rain (you may need to simply turn the kennel around). Also, think about the bedding inside the kennel. By adding some straw underneath the bedding, you can help keep the area much warmer. Kennels can also come with plastic flap doors to help keep the winter wheather out. For cats; ensure the cat door is always open and not obstructed. 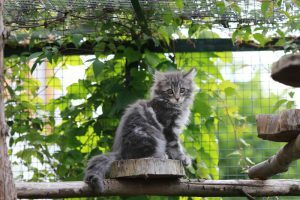 It’s also a good idea to keep your kitty inside at night, this way you can be sure Fluffy is safe during bad and unpredictable cold weather. 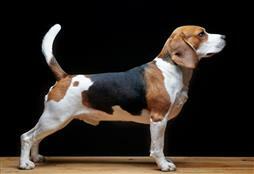 Why not invest in a dog coat if you have a short-coated dog breed? Have one for night time use and one for walking. However, never leave your dog unsupervised in a coat. Pets can quickly become tangled and hurt if left for hours in a dog coat. 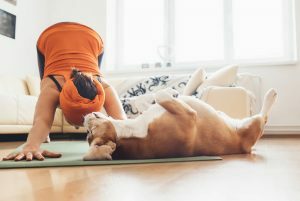 Want to keep your dog (and yourself 😉 ) fit during the colder months? Find out how!